Climate change is causing sea levels to rise around the UK and it will have a significant impact on the likelihood of coastal flooding. The latest scientific projections from the Met Office (UKCP18) indicate that mean sea level will continue to increase over the remainder of the century, regardless of mitigation efforts. 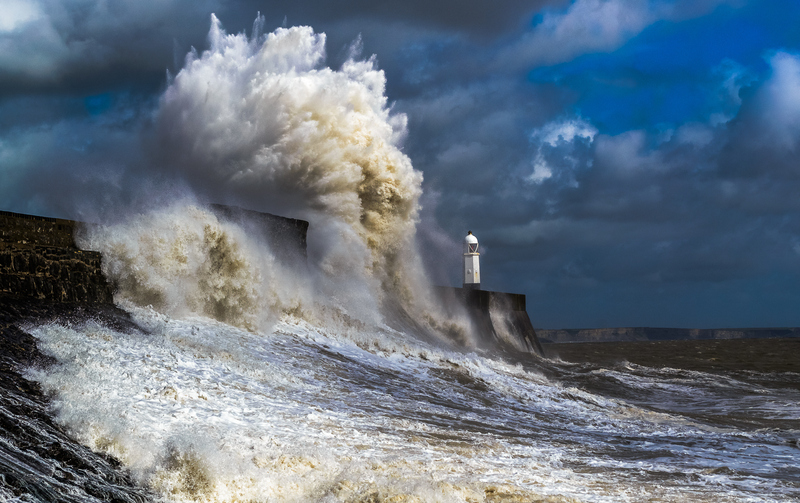 As mean sea levels rise, the base level on which tides and storm surges are imposed increases, resulting in a greater capacity for extreme water level events. Both the frequency and magnitude of extreme events are expected to increase, leading to a rise in coastal flood risk, particularly across southern regions where net sea level change is expected to be greatest. Using tidal gauge and return period data with the latest Met Office climate projections, EuroTempest has assessed the return period for the extreme water height recorded at Sheerness (north Kent coast) during the 1953 storm surge event. As a result of rising sea levels under the most (RCP2.6) and least (RCP8.5) conservative climate scenarios, we find a decrease in the return period of the observed water height from ~1 in 300 years to ~1 in 50 and ~1 in 10 years respectively. Not only does this finding highlight the changing risk of extreme water levels as sea levels rise, but also exemplifies how the use of return periods is becoming a less appropriate method for describing flood risk. Return periods built on an increasingly unrepresentative historical climatology will become progressively more misleading, as in reality, a ‘1 in x year’ event will represent different water levels as the climate changes. For more information please email emma.dyer@eurotempest.com. And if you would like to subscribe to our free weather forecasts, seasonal forecasts, weather news or product updates please visit our subscription page.